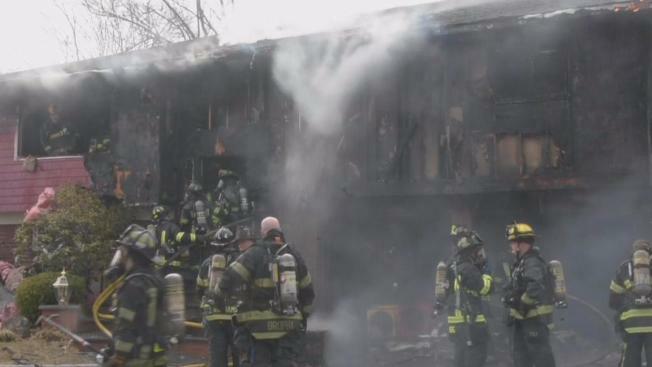 A house fire in Plainview killed an 84-year-old man, police say. An elderly man died when his house went up in flames early Sunday, police said. The body of the 84-year-old Plainview homeowner was found by firefighters. His identity wasn't immediately released. Officers and a fire chief tried to enter the home on Roxton Road shortly after 2 a.m., but were overcome with smoke and had to turn back, the Nassau County police said. It took about 75 firefighters and 10 fire trucks to put out the fire.